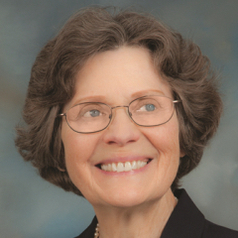 Dorothy E. Denning is Emeritus Distinguished Professor of Defense Analysis at the Naval Postgraduate School. Prior to coming to NPS, she taught at Purdue University and Georgetown University, and worked in research labs at SRI International and Digital Equipment Corporation. Her teaching and research have focused on cyber security and cyber conflict. Dr. Denning is author of Cryptography and Data Security and Information Warfare and Security. She served as the first president of the International Association for Cryptologic Research and has testified before the U.S. Congress on encryption policy and cyber terrorism. She has received numerous awards and was inducted into the inaugural class of the National Cyber Security Hall of Fame.